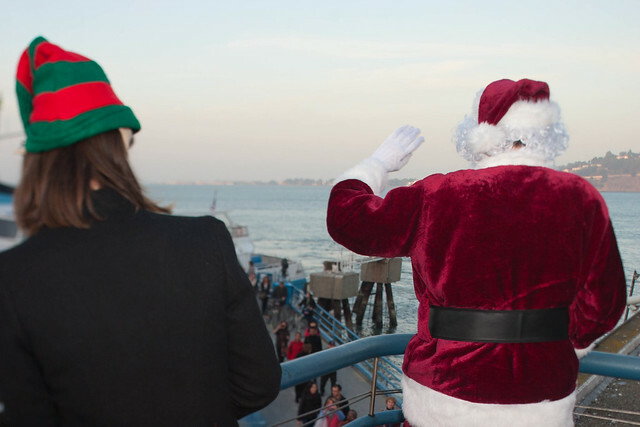 The Santa made a special pre-Christmas visit to San Francisco on December 10, accompanied as always by Santa’s security forces. The security operation was codenamed Operation Polar Thunder. The Santa started his tour with a visit City Hall, where Santas were congregating for the annual Santacon event. 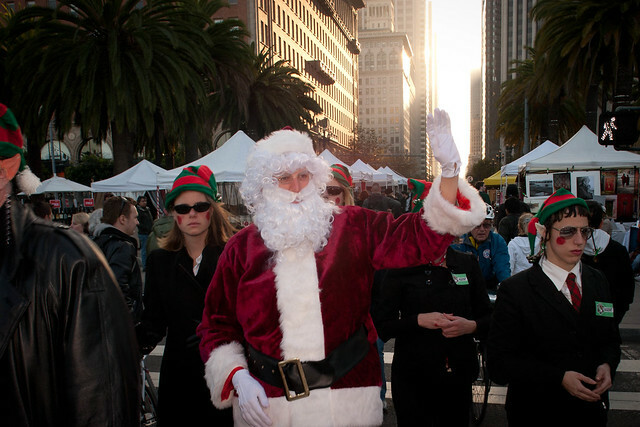 The Santa then made his way to Union Square, and ultimately the Ferry Building, greeting well-wishers along the way. The Santa was accompanied by a Santa’s Little Secret Service security detail, as well as an elf from Santa’s Little Intelligence Support Team (LIST.) Additional security was provided by an elite team of Sugar Plum Service (SPS) fairy operators and some Elvish friends of Santa who joined the operation in a strictly unofficial capacity. Rumors of the presence of Special Gifting Group (SPECGIFT) operatives were vigorously denied by the Office of the Santa. The Santa’s visit was documented by his intrepid press corps: Zack Lara, Sonya Yu, and Shalaco. For more photos see the official Operation Polar Thunder Photo Gallery and the Santa’s Little Secret Service & Santa’s Defense Forces Photo Pool. 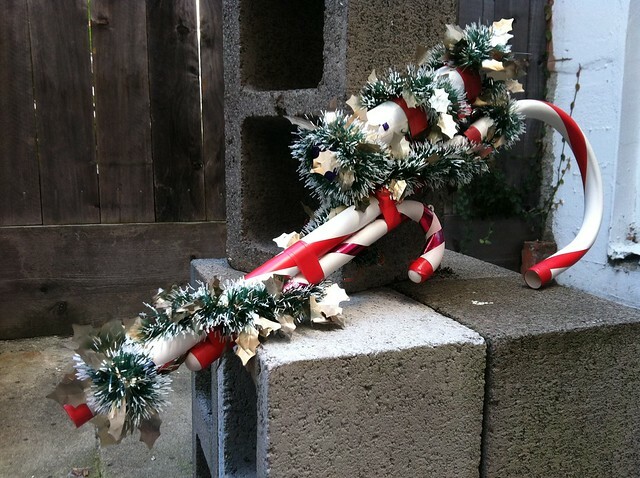 Santa’s Defense Forces rely on a unique candy cane-based weapon system to protect Santa and Christmas from harm. 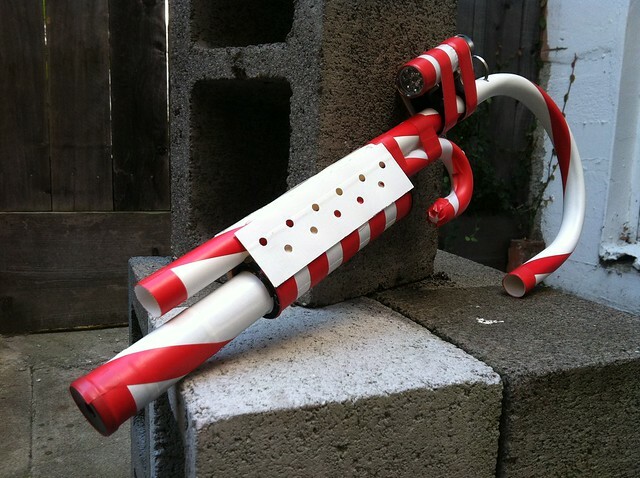 The core of the system is the Candy Cane Carbine (C3), a modular candy cane small arm that can be tailored to a variety of applications. 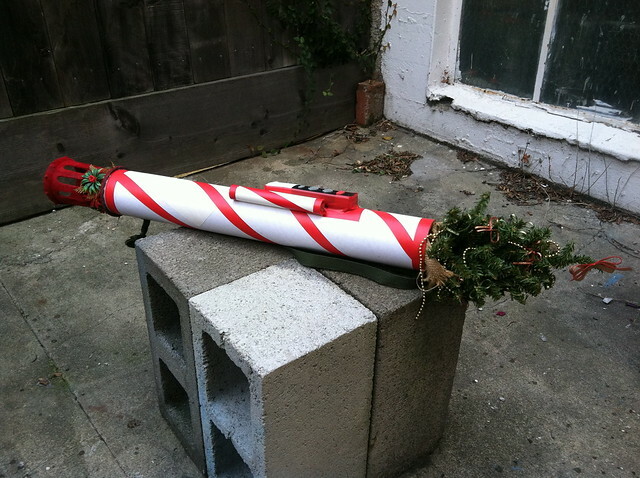 For more serious threats to Santa, especially those hardened against small arms fire, there is the weapon of last resort, the Mark 12 Tenenbaum Launcher.